Ah, love can break your heart at any age, but it can be tough for teenagers. The song was written by the team of Doc Pomus and Mort Shuman (other songs by them include “Save the Last Dance for Me” “This Magic Moment”). The Belmonts were Carlo Mastrangelo, Fred Milano, and Angelo D’Aleo. There have been many covers, including versions by Bob Marley and The Wailers, Simon and Garfunkel, The Fleetwoods, Less Than Jake, and the Red Hot Chili Peppers. 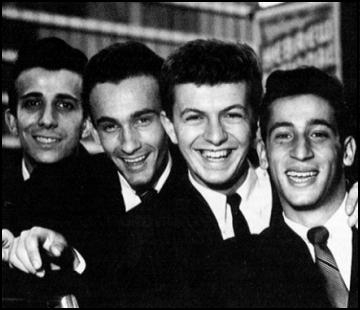 However, it was originally sung and recorded by Dion and the Belmonts and went to #5 on the Billboard Hot 100 in 1959. Dion technically was still a teenager when the song was released and turned 20 shortly thereafter. Please click here for the Daily Doo Wop YouTube channel, to which you can subscribe. Thank you for stopping by The Daily Doo Wop. Hope you enjoyed “A Teenager in Love” by Dion and The Belmonts.